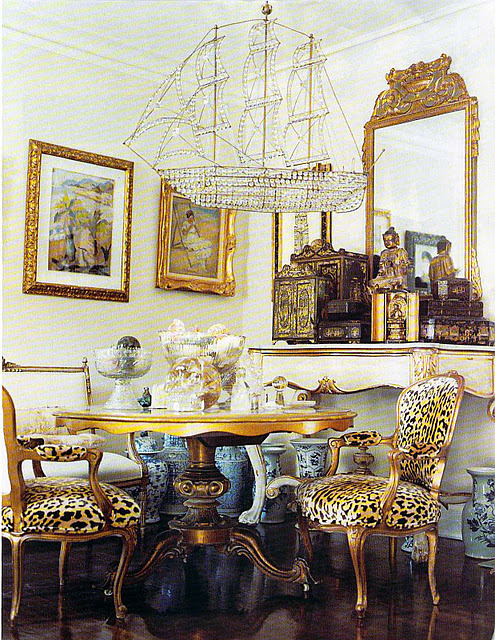 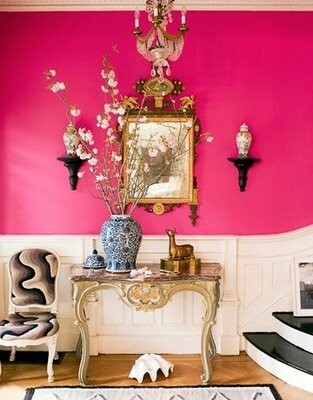 I simply adore the combination of gold and Chinoiserie as shown in these three wonderful rooms below. 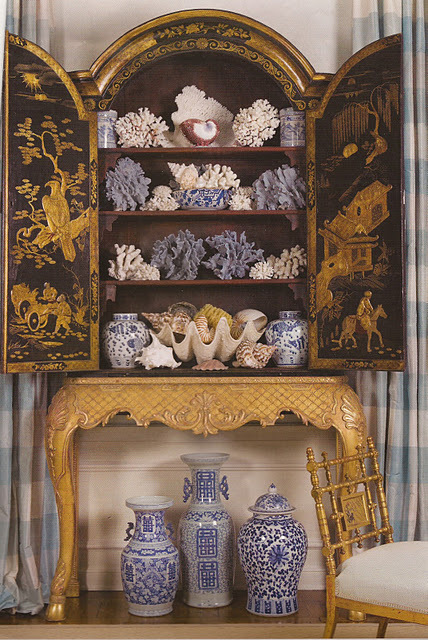 Anthropologie has this wallpaper shown above that would be amazing in a Chinoiserie powder room, entryway, or dressing room with blue and white Chinese porcelain, black and gold lacquered Chinoiserie furniture or other Chinoiserie touches. 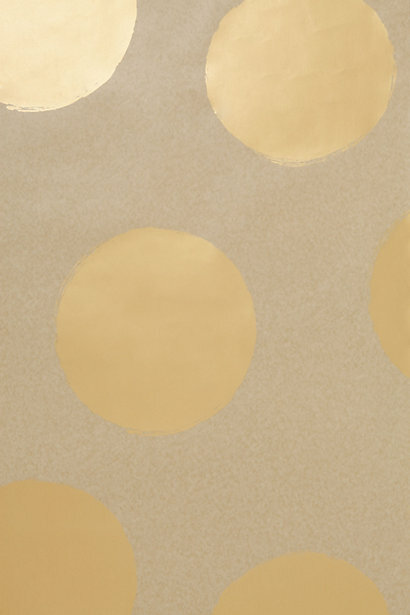 It would also be great for the DIY type - it is brown kraft paper with gold painted polka dots.